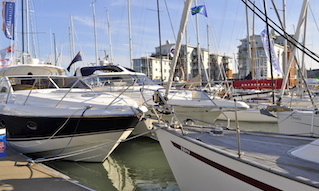 All Harbour users are reminded of the General Directions concerning the speed limit and wash within Cowes Harbour. 3.2.1. 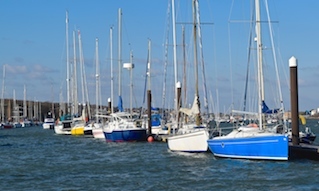 Every vessel navigating the Inner Harbour of Cowes or within 100 metres of the Mean High Water Mark (please see figure 1) shall unless otherwise authorised by the Harbour Master in writing, subject to the requirements of maintaining adequate steerage way and control, be navigated at a speed not exceeding 6 knots through the water. 3.3. 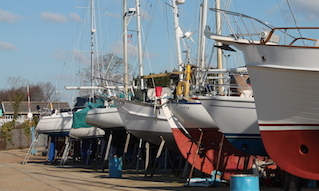 Wash - A vessel shall not be navigated or manoeuvred in any part of the Inner Harbour or within 100 metres of the shore (please see figure 1) in a manner or at a speed so as to cause wash to be generated that may cause damage to or endanger the safety of other persons, vessels or property. 3.5. Speed Exemptions - General Direction 3.2.1 and 3.2.2 shall not apply to any vessel on any occasion when it is being used by the Police, Fire Service or RNLI or other recognised rescue or patrol craft in an emergency situation, or for the purposes of enforcing these General Directions or any Special Directions. Figure 1 – If you are south of the red line - Max 6kts and No Wash.
All mariners wishing to exceed 6 knots, and as such produce wash, once clear to the north of the red line and heading west, are advised that for the safety of those using the waterfront off the Green they pass north of the seasonal mooring buoys indicated by the purple line in figure 1. 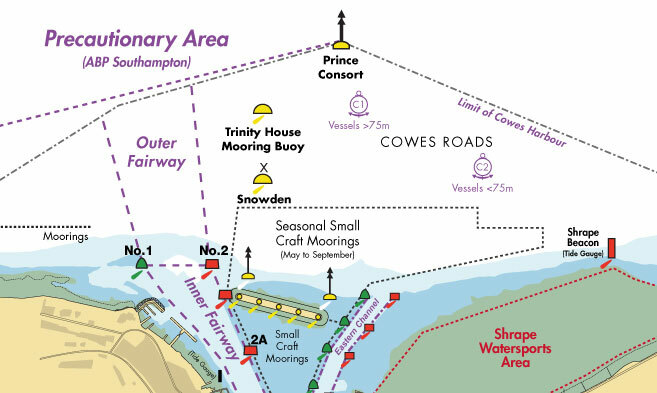 For those proceeding to the east, please be aware of the seasonal (Jun – Sep) small craft moorings north of the detached breakwater as highlighted in purple in figure 1.